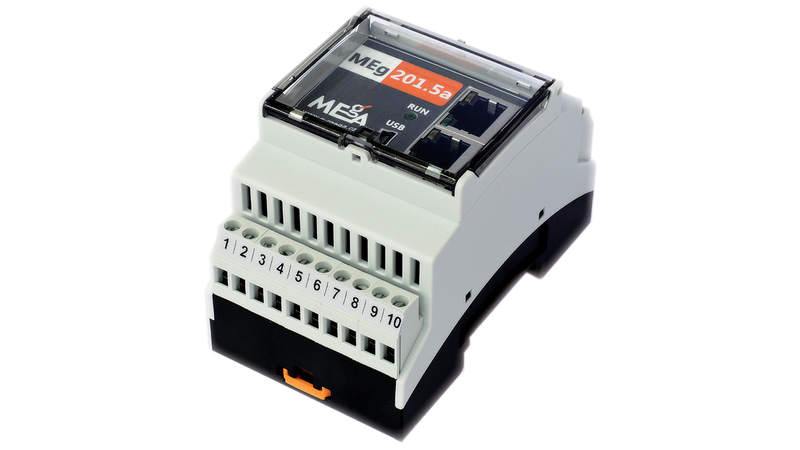 The communication units MEg201.5 with RTU functions provides remote transmission of states of binary inputs, commands and measured data from connected instruments via Ethernet network. The unit can be fitted by two Ethernet interface and two RS232 interfaces or two Ethernet interfaces without interface RS232. The unit installed in the station technology can be connected through two RS485 serial interfaces and it implements the standardized communication protocol according to EN 60870-5-104:2006 and allows integration of connected devices into the SCADA system, either directly or through concentrators. The units has a processor that optimizes and controls data transmission, communicates with connected devices through technological network, allows pre-processing of data read from measuring devices, supervises connected devices and automatically transmits data to a host system in case of an event.